Developed to emulate the flavor of a popular soda brand featuring the Dr., our D. Per e-liquid is tops. 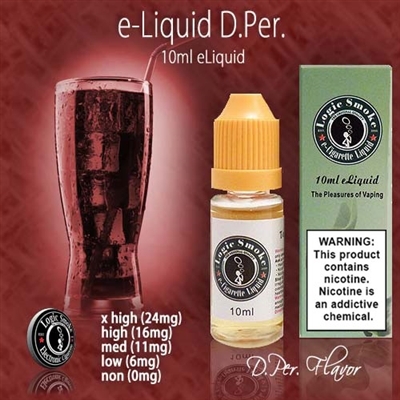 Add a few drops of Cherry e-liquid to enhance the sweet, already satisfying flavor of D. Per! And when using your personal e-cig device, you'll get hours of magnificent clouds of aromatic sweet and spicy vapor.